John served as the mayor of the city of Tallahassee from 2003 until 2014. During his tenure, he was a member of the Florida League of Cities and the Florida League of Mayors, serving terms as president of both statewide organizations. 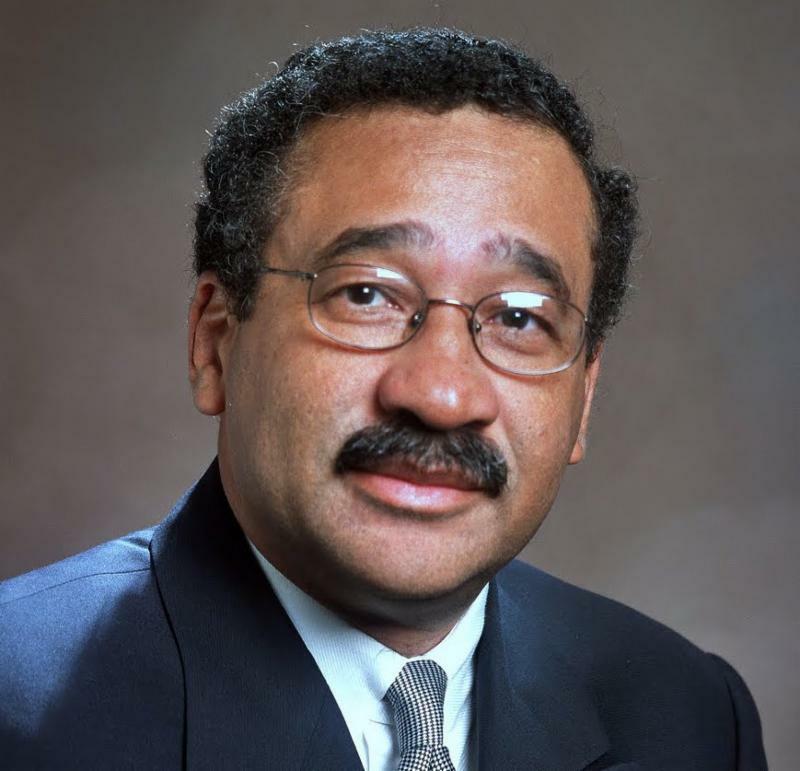 He also served as Chairman of the U.S. Conference of Mayors Transportation and Communications Committee and served eight years on the Florida Public Service Commission and as Chairman for two years. He was honored by the American Public Power Association (APPA) with the prestigious E. F. Scattergood System Achievement Award for Tallahassee becoming a leading authority on smart grid innovation and its effectiveness of the City’s Energy Smart Plus (e+) initiatives. John is the Chair of the Master’s in Information Technology program at Florida State University’s College of Information, currently ranked 12th in the nation. He developed and implemented a hybrid JD/MSIT degree program at Florida State. His career has focused on the social implications of broadband Internet and new media technologies. Additionally, he is an active participant in Tallahassee's burgeoning technology and startup scene. 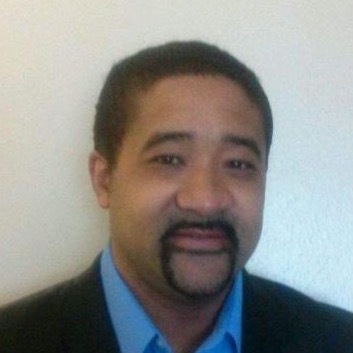 He serves as a professional advisor and mentor for local hackathons such as Digitech and HackFSU, and provides technical assistance and education to underexposed citizens as Director of the Jane and John Marks Foundation. The next generation of wireless, known as 5G, will bridge all aspects of our daily lives through a connected world. 5G will provide consumers, government, and business with greater economic opportunity across virtually every sector imaginable. 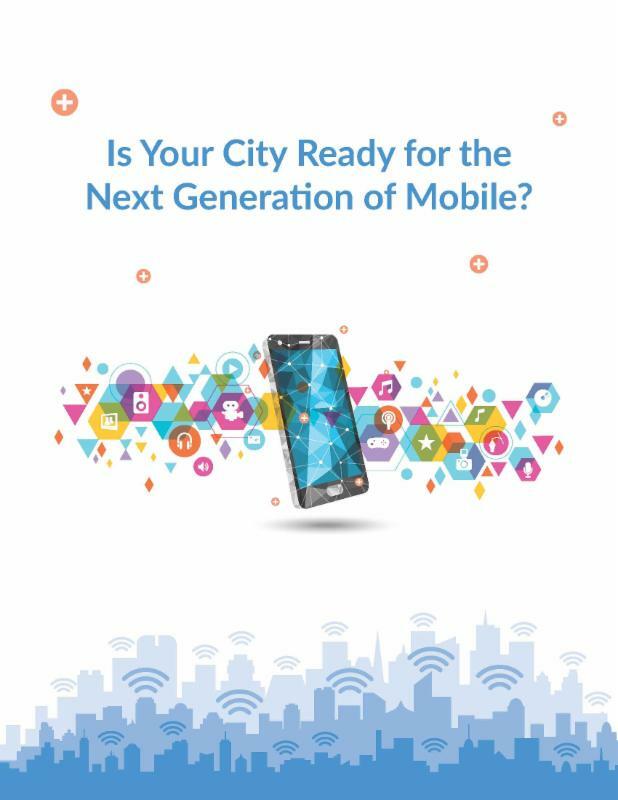 A report by Accenture details how 5G will enable communities across the country to offer smart city solutions that generate significant energy, public safety, and transportation benefits. 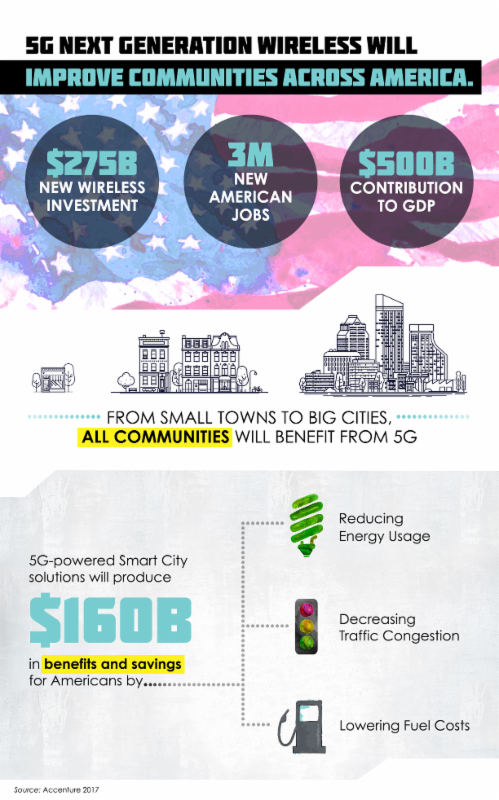 Findings show that the impact of 5G networks will contribute $500 billion to the U.S. economy and an estimated 3 million new jobs will be created as a result of building out next generation wireless service and installing small cells throughout communities. Arizona, Colorado, Indiana, Iowa and Virginia have recently become leaders in the race to bring investment to their states for the deployment of 5G services. By enacting policies that promote a healthy environment to deploy wireless infrastructure, states are moving closer to the creation of smarter and connected communities. Communities that take those steps have the public and local businesses on their side. 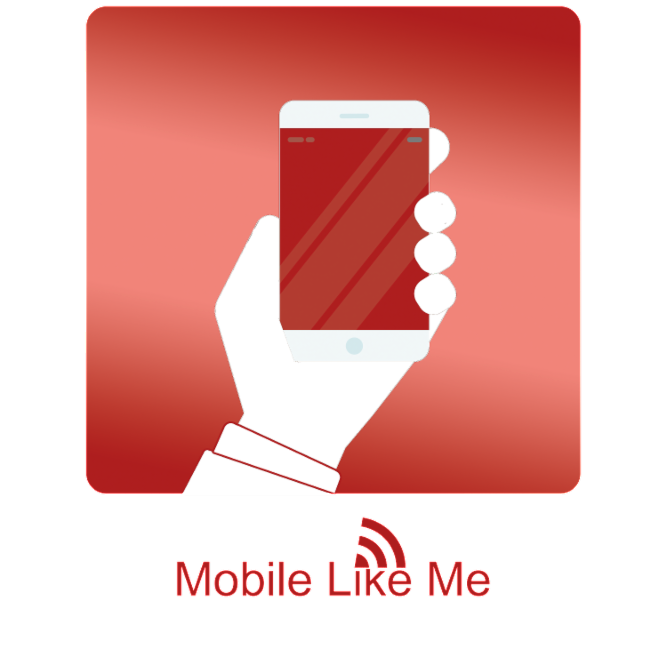 Over 80% of small business leaders support more small cell deployment. The wireless industry is ready to invest billions to create jobs and make that happen; it just needs states to embrace streamlined siting processes, reasonable costs and fees, and removal of barriers to efficient deployment of wireless infrastructure. Leading national organizations who represent Americans at the state and local levels ratified resolutions urging all levels of government to support infrastructure buildout that will pave the way for next generation networks. These organizations recognize the need for the deployment of small cell technology connected via wireline fiber to increase network reliability, reduce latency and provide consumers and businesses with higher speeds. In 2016, Kansas City, Missouri, announced that it would be investing $15 million in a public-private partnership with Cisco to make a two-mile streetcar corridor smart — like, Internet of Things smart. What Will 5G Look Like? 5G, the next generation of wireless connectivity holds the promise to transform our world. 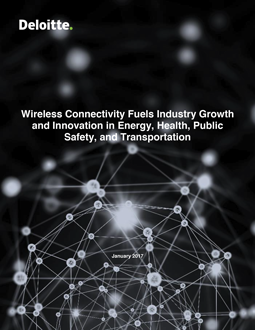 In a January 2017 report, Wireless Connectivity Fuels Industry Growth and Innovation in Energy, Health, Public Safety, and Transportation," Deloitte outlines its potential in energy, health, public safety, and transportation. Health: connected devices could create $305 billion in annual health system savings from decreased costs and mortality due to chronic illnesses. Public Safety: improved response times could reduce mortality by 8% and reduce crime and the cost of law enforcement. Transportation: self-driving cars could reduce emissions by 40-90%, travel times by nearly 40% and delays by 20%, save 21,700 lives and $447 billion per year.